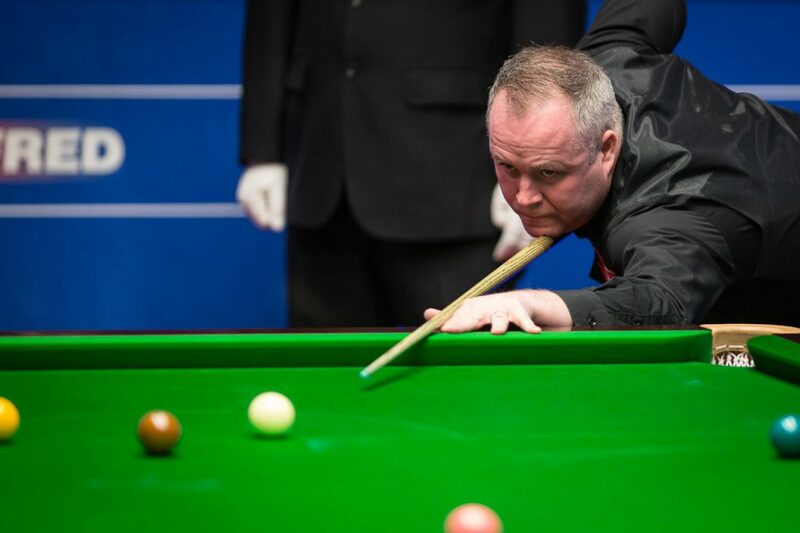 John Higgins has defeated Martin Gould 10-6 at the Betfred World Championship, despite hard fought resistance from the Pinner Potter following a large first session deficit. 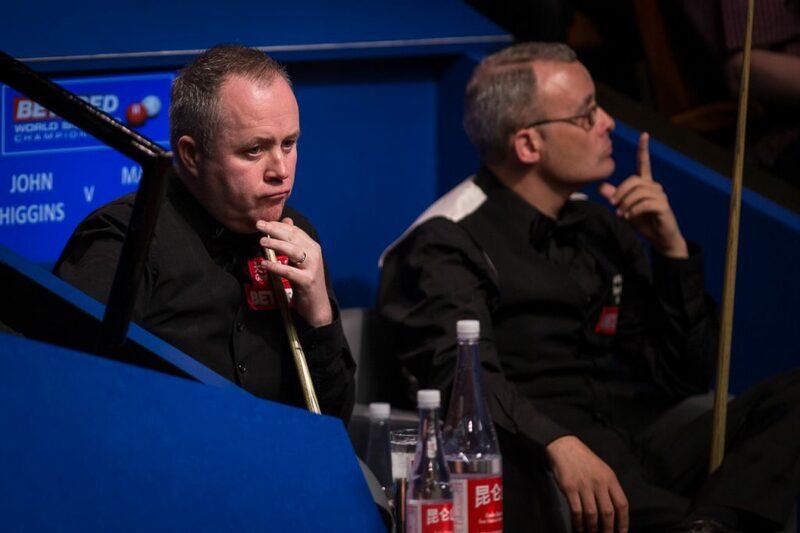 Victory for Higgins sets up an enticing second round clash with Mark Allen. The pair met at the Masters earlier this year in a thrilling encounter in front of a packed Alexandra Palace crown. On that occasion Allen came out on top 6-5, the Scot will be hoping to fare better on the World Championship stage in Sheffield. Higgins looked to be in ominous form yesterday afternoon as he stretched out a 7-2 advantage over Gould, thanks to a showing of consistent scoring. The world number 18 Gould immediately sought a way back into the tie this morning, starting off with a century run of 108 to reduce his arrears to 7-3. He soon made it 7-4, before Higgins reasserted his dominance with a sublime break of 127. Gould kept himself in the tie with a contribution of 86 to make it 8-5 at the mid-session. The impressive level of scoring continued when they returned. A break of 67 took Higgins one from the win at 9-5, but Gould responded with 80 to pull within three. The four-time World Champion ended his resistance in the next frame, stringing together 82 in a steely clearance to claim victory. Higgins said: “To win 10-6 against Martin is brilliant. It was 7-2 and you never think you’re going to get that against a class player like him. Even at 7-2 up there’s pressure, because if you lose a few more you can lose a game from there. Martin’s one of the players that can go on a bit of a roll and win two or three frames very quickly. “I used to dream about winning the world title, I thought I could do it and I did do it. In the last couple of years I’ve not had those dreams so maybe that’s the reason I might never going to get a fifth world title, but I’ll still keep trying. Maybe my subconscious is telling me you’re never going to win it again. Gould admitted that Marco Fu’s exploits against Luca Brecel last night gave him hope of mounting a comeback charge this morning. “Watching Marco last night proved it wasn’t too much. It was one of those, the first session I could have been 5-0 up at the start,” said the 2016 German Masters winner. “Once I won the first two, I thought if I could nick the third one it was definitely game on because the momentum was going my way. John made a true champion’s break to go 8-4 and that settled him down a little bit. That is why he is a four-time winner here. Stuart Carrington has edged 5-4 ahead of Liang Wenbo in a high quality first round clash. 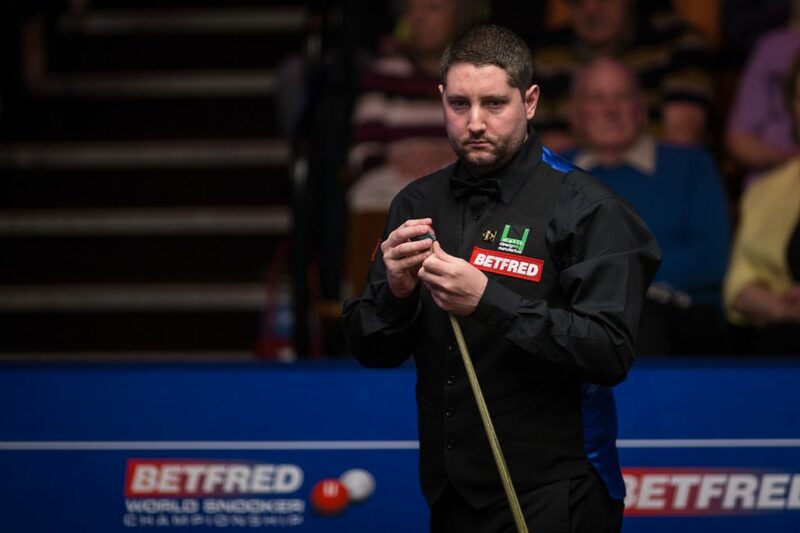 World number 48 Carrington is making his second Crucible appearance after qualifying in 2015 and had looked set to carry a sizeable advantage going into the concluding session, following a fantastic burst of three consecutive centuries. He clinically constructed runs of 124, 101 and 107 to move 5-2 ahead. However, Liang has grown in confidence since reaching the world’s top 16 after claiming a maiden title at the English Open earlier in the campaign. He dug deep to take the last two frames of the session and move within one.